Her research interests lie in the fields of colonial, postcolonial, environmental and global studeis, specifically in the Indian Ocean region. Her projects include culture and commerce in the Indian Ocean region, intercolonial networks in the Indian Ocean, gender and citizenship among Muslim women in Sydney, cultural participation and community building in Western Sydney, connections between Indian and Australian women during the Cold War period, contestations around water and coal mining in India and Indian cosmopolitanism and religion. 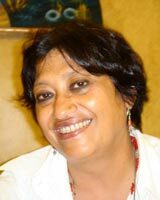 Devleena Ghosh is a member of the South Asian Studies Association, the Asian Studies Association of Australia, the Australian Historical Association and the Regional Editor of the Asian Studies Review. She is also the Director of the Indian Ocean and South Asia Research Network at UTS. This article foregrounds some of the ethical dilemmas and physical and emotional risks involved in the experience of doing ethnographic fieldwork in a contested and violent political environment where one's academic enterprise might impinge upon the security of one's respondents. How does one undertake genuine collaboration with local researchers, community members and grassroots organizations in volatile conflict-ridden spaces where respondents are wary of participating in 'research' since data from past research activities has led to undesirable impacts on their lives, yet they also want a more accurate representation of their needs, demands and desires? In this situation fieldwork research has to be carefully analysed and organised so that it has the least potential for harm. This may involve voluntarily withdrawing from tense situations, making quick and unscheduled visits, avoiding attention and so on. These solutions create new problems. Drawing from fieldwork conducted over three years, this article discusses how research questions and findings are often limited by personal possibilities and positionalities, and reflects on the ethical dilemmas and emotional challenges of fieldwork and the limitations of research. © 2016 Elsevier LtdIndia's energy needs and development imperatives mandate an increase in power generation which at the current time is largely dependent on fossil fuel. The discourses surrounding development in these contexts subsume the rights of forest dwelling people to the necessities of power generation and therefore to coal mines. This article discusses the responses of a community of adivasis in Chhattisgarh to the imminent takeover of their land for new mines. The article then discusses the ramifications of ignoring the displacement of these people and the loss of their land and livelihoods and sets out some policy recommendations to remediate the impact of land acquisition through the strengthening of already existing laws and Government Acts. It calls for a holistic look at India's energy sources, methods to ensure compliance with compensation awarded, clarification of some parts of the Lands Acquisition Act and the speedy implementation of Community Forest Rights under the Forest Rights Act. © 2016 Asian Studies Association of Australia The large-scale movement of people between Burma and Bengal in the early twentieth century has been explored recently by authors such as Sugata Bose and Sunil Amrith who locate Burma within the wider migratory culture of the Indian Ocean, the Bay of Bengal and Southeast Asia. This article argues that the long and historical connections between Bengalis and Burmese were transformed by the British colonisation of the region. Through an analysis of selected literary texts in Bengali, some by well-known and others by obscure writers, this article shows that, for Indians, Burma constituted an elsewhere where the fantastic and superhuman were within reach, and caste and religious constraints could be circumvented and radical possibilities enabled by masquerade and disguise. Call centre workers are expected to `listen' and provide both practical assistance and emotional support to customers across the world. At the same time, they are supposed to subscribe to cultural and social traditions that ensure that they remain within family and societal control. This article discusses gender and work transformations of call centre workers in the context of the networks they create in their engagements, not only with their managers and co-workers but with their invisible clients and families and communities. Ghosh, D & Osuri, G 2012, 'India/cinema: an archive of politics and pleasure', Continuum Journal of Media and Cultural Studies, vol. 26, no. 6, pp. 799-802. Ghosh, D. & Garcia, B.C. 2011, 'Health and Borders across Time and Cultures: Introduction', PORTAL Journal of Multidisciplinary International Studies, vol. 8, no. 2, pp. 1-6. Ghosh, D & Davidson, S 2009, 'Ocean of Stories: An Introduction', Transforming Cultures, vol. 4, no. 2, pp. 1-5. The articles in this special issue section of PORTAL had their first iteration as presentations in the Eighth Women in Asia Conference held at the University of Technology Sydney in 2005, the theme of which was `Shadow Lines. The concept `Women in Asia is problematic since some of the major debates in gender or womens studies have focused on the diversity of womens life worlds and beings and the contested nature of the term `Asia. As a theme it has the potential to become a holdall phrase for scholarship, research and activist work `from Suez to Suva. However, reflecting on these difficult terms can be a creative and rewarding process. The attempt to locate Australia within the region, rather than within a putative `west, and to deal with her geography rather than just her white history, can be an effective way of challenging many current `white blindfold discourses. At the same time, gendered analyses of society, politics and culture that attempt a re-insertion of `herstories into academic discourses have to be sophisticated enough to demonstrate the intrinsic gendering of all-embracing, supposedly `neutral, ideas such as race, nationalism, ethics, and the state, rather than simply `adding in women. The marginalised spaces of womens activities have to be legitimated as crucial elements of all social relations, highlighting the intimate relationships and connections between men and women. These concerns animate the papers collected in this issue. Ghosh, D. & Muecke, S. 2005, 'It's time to foster the future that lies to our west', Sydney Morning Herald. Ghosh, D. & Muecke, S. 2000, 'Indian Ocean Stories', UTS Review, vol. 6, no. 2, pp. 24-43. Ghosh, D & Muecke, S 2000, 'Editor's Introduction', UTS Review, vol. 6, no. 2, pp. 1-5. Ghosh, D. & Jain, A. 2017, 'Green marketing and green consciousness in India' in Green Asia: Ecocultures, sustainable lifestyles, and ethical consumption, Routledge. Ghosh, D. 2012, 'Shadowlines: Interrogating 'Woman' and 'Asia'' in Devleena Ghosh (ed), Shadowlines: Women and Borders in Contemporary Asia, Cambridge Scholars Publishing, Newcastle-on-Tyne, pp. 1-12. When Kwame Anthony Appiah and Homi Bhabha discussed the relationship between postcolonialism and postmodernism over a decade ago, they differed in their analyses of the problem. As Mustafa Bayoumi points out, Appiah considered postcolonialism to be in an ambivalent relationship with postmodern commodification while Bhabha located it as a reconfiguration of postmodern contingency via a type of wily agency. Both scholars noted the importance of disestablishing the primacy of the Self-Other division in this equation and championed the circulations and hybridities of contemporary cultures. Appiah's conclusion was, 'we are all already contaminated by each other' (Bayoumi 2001: 146). This shuttling back and forth between various worlds works not in terms of opposition but of epistemic complicity within an environment of disorder and chaos, subverting the order supposedly imposed by technology. The postcolonial notion of Indianness in the global context demands traditional and predictable markers of identity-names, accent, style-from which call centre workers are supposed to depart in their service of international customers. About ten years ago I wrote an article that examined the domestic cultures of young Indo-Fijians who had migrated to Sydney after the coups in Fiji. At that time, I remarked that many of the parents of my interlocutors identified the viewing of Hindi films as essential to feeling Indian. Ninety per cent of my informants watched at least one Hindi film per week, usually at the weekend. and as· a family practice. Most families had large electronic collections of Indian films and episodes of the Ramayana and Mahabharata, legal or pirated, and Hindi film music and song formed by far the largest category of popular music in the Indo-Fijian community. TV and DVD viewing appeared to offer powerful representations of both Indian and Australian· culture for the Indo-Fijian community and the DVD player seems to have been appropriated by many parents as a means of recreating cultural traditions, though their efforts appeared to be both subverted and diverted by young people. Ghosh, D. 2007, 'India@Oz: The Curry Pacific' in Lawson, S. & Peake, W. (eds), Globalization and Regionalization: Views from the Pacific Rim, Editorial Centro Universitario de Ciencias Sociales y Humanidades, Universidad de Guadalajara, Guadalajara Mexico. Ghosh, D. 2000, 'Home Away from Home: the Indo-Fijian Community in Sydney' in Ang, I., Chalmers, S., Law, L. & Thomas, M. (eds), Alter/Asians: Asian-Australian Identities in Art, Media and Popular Culture, Pluto Press, Sydney Australia, pp. 68-86. Ghosh, D. 2000, 'A Place called Home' in Bissoondayal, U. (ed), Decolonisation, Mahatma Gandhi Institute, Mauritius. Ghosh, D. 1999, 'The Best-Seller and the Media Empire: the Case of Bengal 1947-1983' in Brendon, D. (ed), Essays in Honour of Yasmine Gooneratne, Argus Publications, London. © 2015 IEEE. In railway electronic interlocking system, the automatic signalling equipment is programmed with the configuration data derived manually from the yard layout. This step is prone to human errors and any error can be a severe threat to signalling safety. The yard-layout data and the configured system both need to be verified to satisfy the desired safety requirements. The configured signalling system is needed to be verified against those relevant safety properties before deploying. Accordingly, the contributions in this paper include, (a) validation of input in terms of yard-layout data against some spatial properties (b) generation of yard-specific properties from the validated layout data for interlocking system verification. The work described in this paper is applied for signalling rules followed by Indian Railways. To capture the actual environment, a set of complex properties including properties involving timers is considered. Higher level safety properties such as no-collision and no-derailment are also considered for enumeration. © 2015 IEEE. This paper presents a web based virtual laboratory package which provides a hierarchical module level logic design tool equipped with a logic simulator, a set of pre-designed experiments with a facility to add new experiments. The tool contains a repertoire of components and design functionalities and provides features for aiding learning through experiments. For complex experiments, such as CPU design, the tool provides an interface for specifying the controller abstractly as an algorithmic state machine. A set of techniques has been introduced in the tool for efficient simulation catering to the requirement of the lab. All the experiments can be conveniently conducted on a regular desktop or laptop computer and can be saved with user identification at any point and resumed later. This virtual lab has been successfully deployed to support several experiments of a post graduate level course at IIT Kharagpur. © 2015 IEEE. This paper presents the usabilities of a newly developed web based virtual laboratory package as a self-learning tool in association with online courses with the facility for evaluation of user assignments without the intervention of the instructor. This virtual lab contains a hierarchical module level logic design tool equipped with a logic simulator, a set of pre-designed experiments and also the facility to add new experiments to enhance learning. The tool contains a repertoire of components and design functionalities to aid learning through experiments. For complex experiments, such as CPU design, the tool provides an interface for specifying the controller abstractly as a control state chart. All the experiments can be conducted on a regular desktop or a laptop computer and can be saved with user identification at any point and resumed later. This virtual lab has been successfully deployed to support several of courses at IIT Kharagpur. Additionally, workshops to familiarize this system to teachers and students in several colleges have been conducted. Feedback from an academic institute conducting the lab with online courses indicating satisfactory usability has been gathered. © 2015 IEEE. This paper presents an approach to aid teaching of Digital Logic and Computer Organization through generation of dynamic assignment statements along with development of automatic generic checkers for those assignments using the COLDVL virtual laboratory package. Dynamically generated problem statements ensure a fairly large set of, distinct problems. The automated generic checkers allow the solutions developed by the students to be evaluated rapidly online. Here we illustrate this concept by presenting three classes of dynamic problems for three topics and their corresponding checkers. The strength of the scheme presented here is that the checker may be developed using the COLDVL tool itself and does not require the instructor to develop special skills, such as mastering formal verification techniques for this purpose. More such problem classes would need to be developed to make this scheme deployable. The results of the current effort are encouraging. Satisfactory evaluation studies of COLDVL are also presented here. Narayan, Jakubowicz, A, Bebawi, S, Middleweek, Ghosh, D, Sun, W, Khamis, S & Vatsikopoulos, H, 'Shock horror: the big end of town has finally discovered Australia's media is a whitewash'.